Sydney is an amazing city, there’s no way around it. 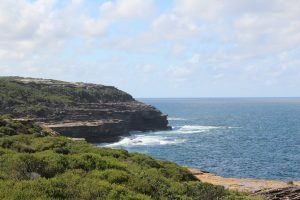 However, to really experience Australia (on a somewhat limited time frame), there are many activities outside of Sydney proper, yet close enough for a great day trip. One of those excursions that I discovered is a 13-kilometer hike along the coast of Eastern Australia, from Bundeena to Marley Beach. As with many of my trip reviews, I like to spend a bit of time detailing how I booked the travel, any deals / tips on minimizing out-of-pocket expenses, etc. Use the links below to skip ahead to other sections (but you might miss out on some great travel tips!). I have already commented on the long flights from the US to Australia and New Zealand in my post about Queenstown on the Qantas A380, so I’ll spare you those remarks. Suffice it to say, I have made the trip from the US to Australia/New Zealand twice now, and both times have been in Business / First Class … for very little out of pocket. In this instance, I was able to find a solid cash fare from DFW to Sydney for $650 on American Airlines thanks to a notification from Secret Flying. For me, this was especially exciting, since I have Executive Platinum status on American. If you aren’t familiar with the AAdvantage program on AA, the top advertised tier is called Executive Platinum. This status extends several very lucrative benefits to members. In this instance, the perk that I was most interested in was something called a System Wide Upgrade (SWU). System Wide Upgrades are free, 1 cabin class upgrades (based on availability, of course) that apply to up to three segments in each direction of your itinerary. Since my dates were flexible, I was keen to see if there was any instantly confirmable upgrade availability. Rather than calling the AA EXP desk and having them search, I chose to use Expert Flyer. Luckily, I was able to secure upgrades on all segments of both outbound and inbound! This essentially got me a $6,500 fare price for $650! Tim’s Tips: Expert Flyer should be in the toolbox of every points and miles traveler. The site’s features allow you to see award seat availability for dozens of airlines. Additionally, you can create custom email alerts for preferred seat or award space availability. Since Circular Quay is a very prominent landmark in Sydney, I’m going to start the directions from there. I recommend this journey by train. From Circular Quay, you are looking for the T2 train. Take that two stops to Town Station, then exit at Town Station. From there, jump on the T4 train to Cronulla. 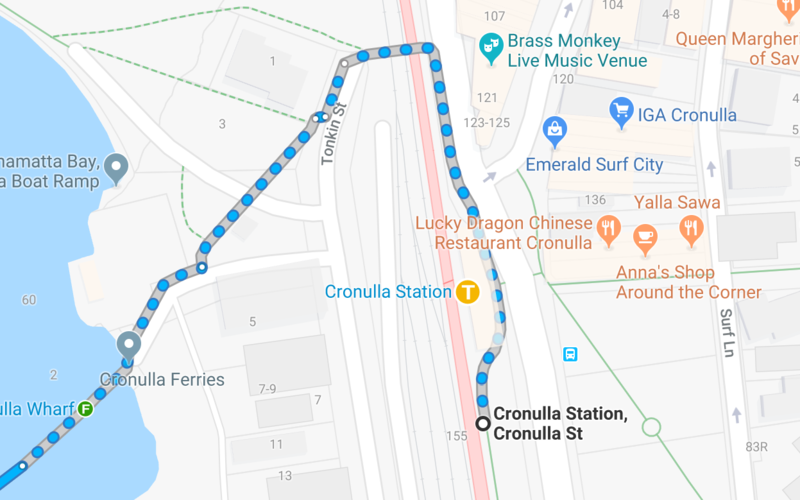 You will go 21 stops, exiting at Cronulla Station (pronounced Cruh-nella). Cronulla is a quiet beach town, that is actually worth a quick stroll if you aren’t in a hurry. There is an IGA grocery store close to the train station that I would recommend stopping in to get some snacks and water for the hike. This is a very easy hike. I had hiking boots, which I would recommend if you have them. However, I saw plenty of people in regular tennis shoes. Anything closed toe with a modest amount of support would work just fine. 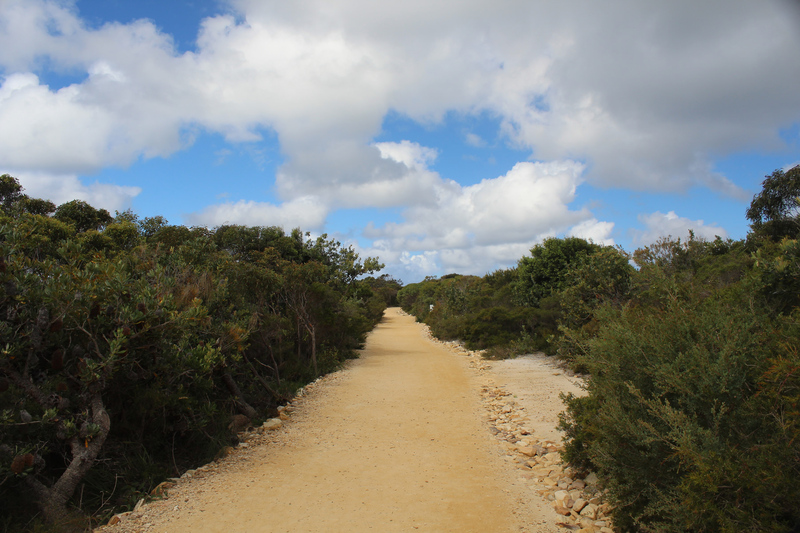 Tim’s Tips: There is no water on this hiking path. None. The round trip journey is 13 kilometers. Even though it is a very easy hike, it is still a long distance. Make sure you bring a pack and stock it with water and plenty of snacks for the hike. Once you are done touring Cronulla, you will need to find the ferry station to Bundeena. It can be a bit tricky finding the ferry, though anyone in a local shop could point you in the right direction. See the map below for basic walking instructions. Note, you will need cash for the ferry. When I was there in 2017, the cost was about AUD 6.00 each direction. Tim’s Tips: Be sure to check the timetable for the ferry. 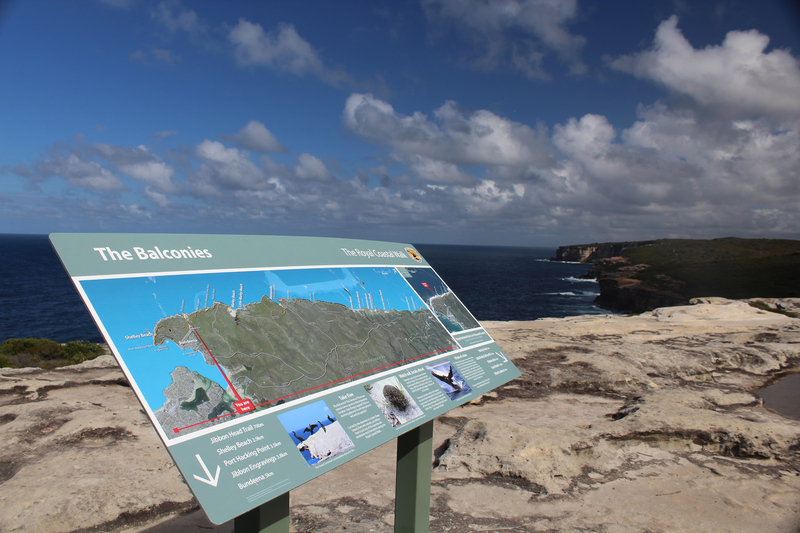 Bundeena is a VERY small community, and the ferry service stops at 7PM (earlier on weekends). You can see the up to date timetable here. The ride from Cronulla to Bundeena Wharf is maybe 20-25 minutes. The boat, sometimes decorated with livery for the local Cronulla Sharks, is very quaint. 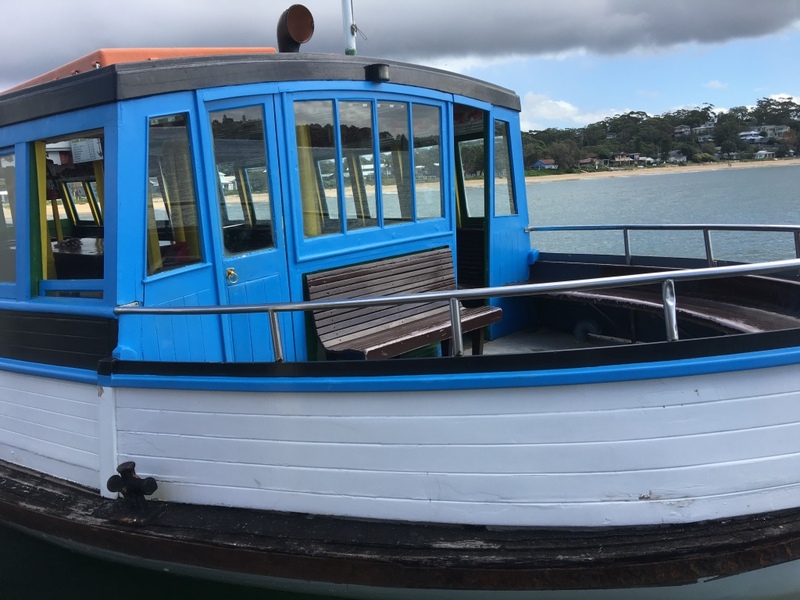 It is a very small boat, so get there earlier than the timetable would recommend to ensure you get a seat. I would consider the ferry ride to be a part of the entire experience of this excursion. 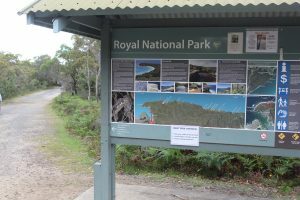 From Bundeena Wharf, things can get a bit tricky until you get to the actual trail head. You will be walking through local streets and neighborhoods, and will get the general feeling like you are doing something wrong. Just keep going. Follow the directions below, and you will get there. It is maybe 20-25 minutes through the streets until you see signs for the trail head. 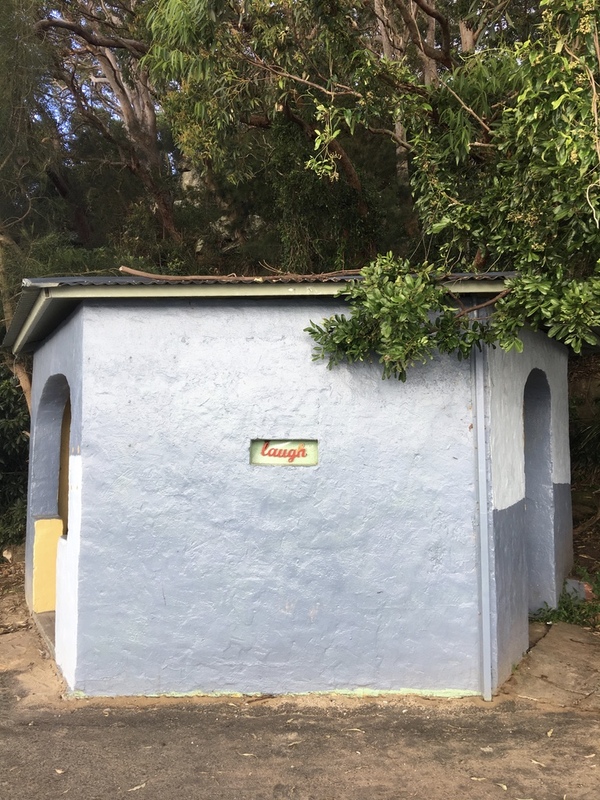 From Bundeena Ferry, on Brighton St, turn left into Loftus St. Proceed past Mary St and turn right into Bournemouth St. The walk turns left into Scarbourough St and takes the first right into Beachcomber Av. 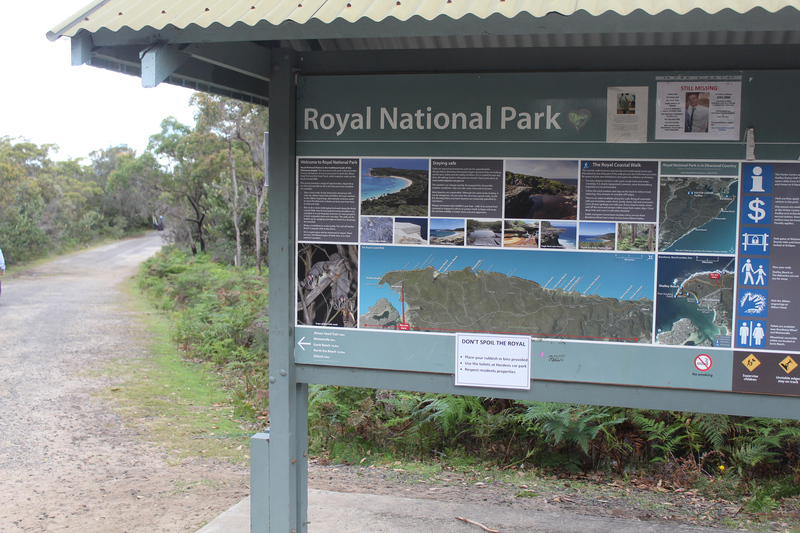 Beachcomber Av is followed south and gradually to the east until reaching the entry into the Royal National Park. This is marked by several large information signs. From the end of Beachcomber Av, head around the (possibly locked) gate, following the ‘Coast Walk’ sign. 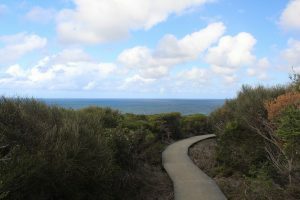 After about 50m, the trail passes a track (on the left) and continues until coming to an intersection with a wider sandy trail (on the left, which leads to Jibbon Head). DO NOT TAKE JIBBON HEAD TRAIL! From the intersection, this walk follows the asphalt management trail heading towards the green signposts nearby, where it comes to the signposted intersection of the ‘Coast Track’. 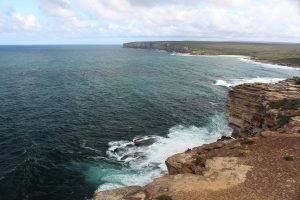 From this point, the path is pretty obvious and there are plenty of lookout points of the cliffs rising sharply from the South Pacific Ocean. This hike is “out and back”, meaning it is not a circular loop. This is good, since you don’t have to go all the way to Marley Beach if your energy (or the weather) changes your plans. Take your time and enjoy the incredible scenery, including the famous Wedding Cake Rock and The Balconies. 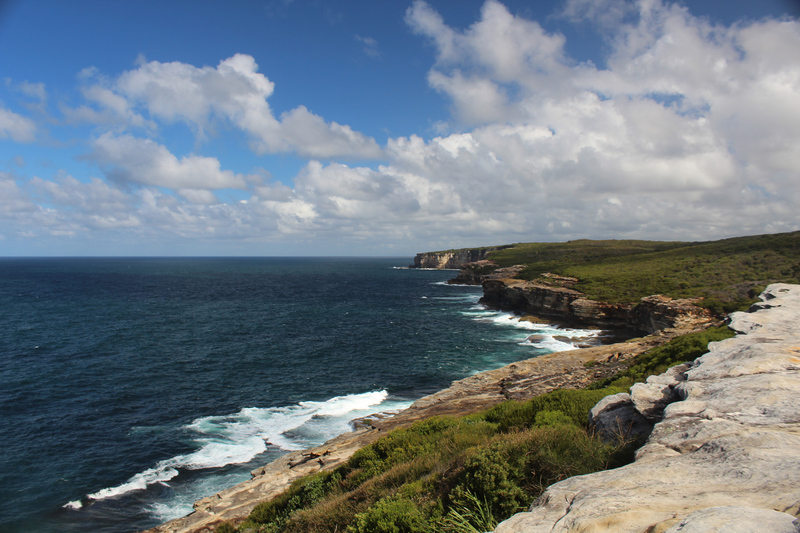 Take plenty of pictures, and enjoy your day away from Sydney. But don’t forget to keep an eye on the time so you don’t miss the last ferry back to Cronulla! 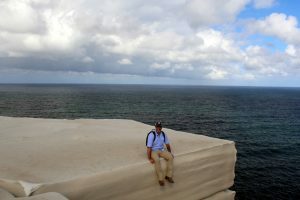 Tim’s Tips: Wedding Cake Rock is fenced off and no longer legal to access due to erosion of the sandstone. The local authorities have begun issuing $300 citations if they catch tourists jumping the fence to stand on the ledge. 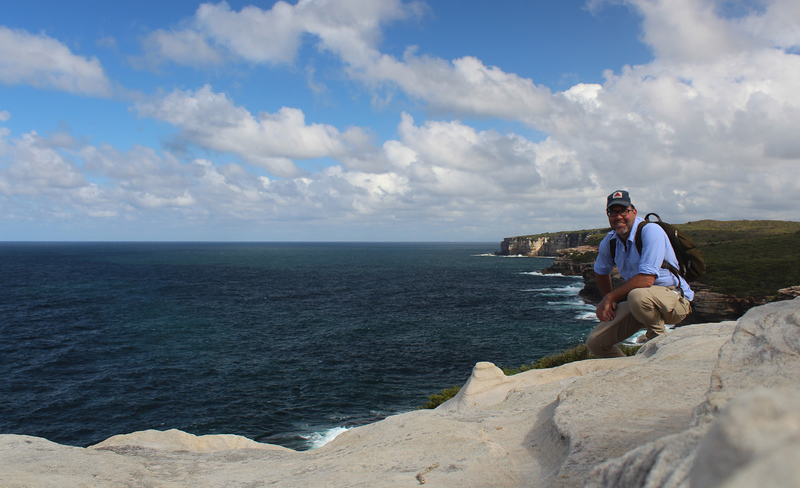 This is a great option for a day excursion from Sydney, and was one of my favorite parts of my visit. Round trip on the train and ferry plus snacks and water, this entire day cost less than AUD 50. And the scenery was free! Have you taken this day trip from Sydney to Bundeena? Let me know what you thought in the comments below!